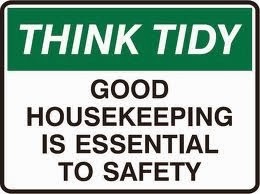 POOR HOUSEKEEPING is one of the major elements which contribute to increase "Hazards" on construction sites or projects. 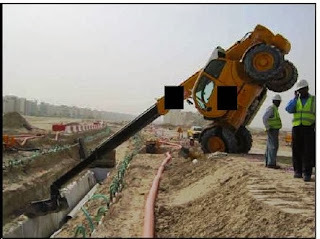 An accident occurred while the operator was offloading a pipe bedding material for deep excavation. As the boom loader was approaching near the edge of excavation and extended the boom in order to offload the material, the boom hit the shoring of the excavation, and its rear wheeled up (see photo below) and immediately the operator opened its cabin, jumped out and escaped without injury or damage to the property. Safe system of work was not implemented. No sign of risk assessment.